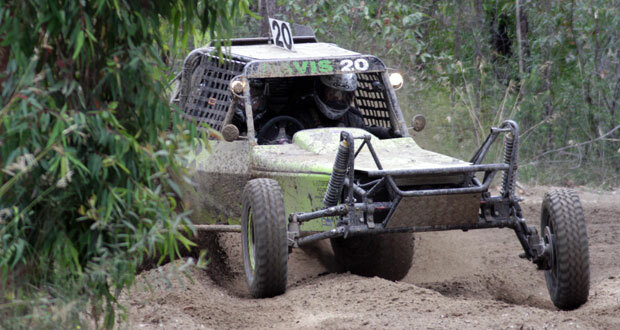 Nowra’s Scott Davis with navigator Ben Hoskin have started their 2012 racing season on a high with an outright win in their #20 Pro buggy on Sunday at the Sydney Off Road Racing Associations first round of their club championship held at the clubs Colo Park venue. The team have upgraded to a Weddle gearbox for the coming season in an attempt to gain reliability, a move that has proved successful on their first outing. 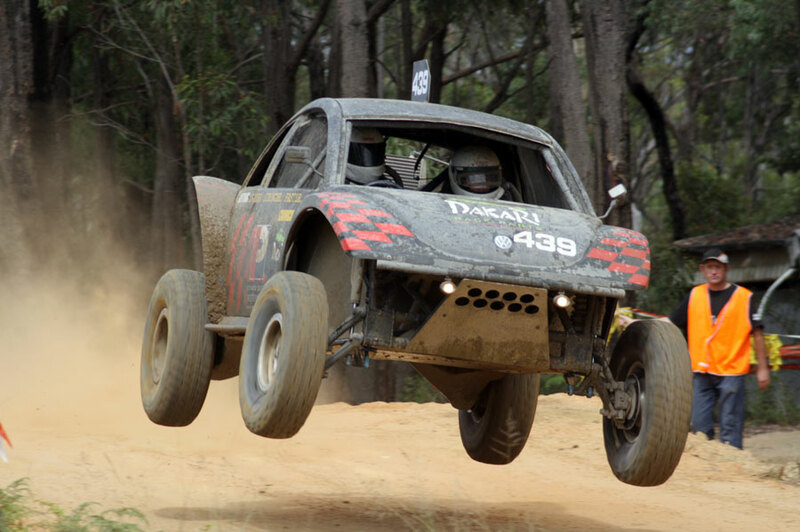 Perfect weather and racing conditions greeted the 19 nominations, with a light rain shower on Sunday morning making officials a big nervous but turned out to be the perfect dust settler for the first few laps. 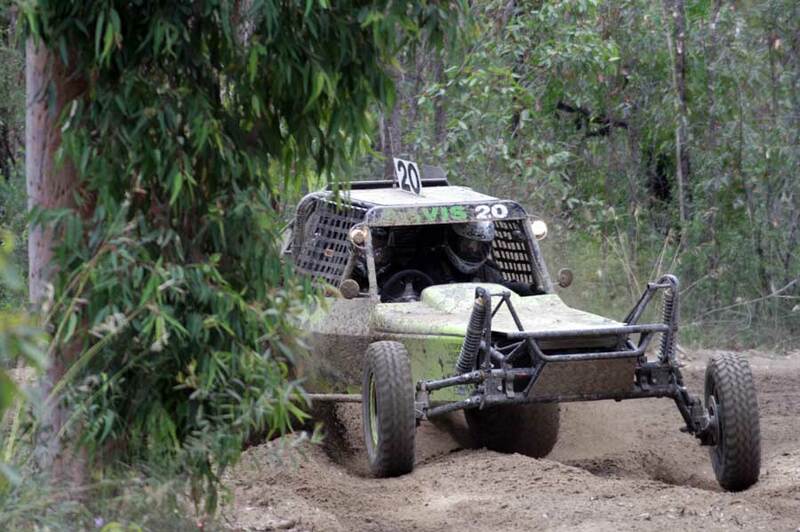 Shane and Gary McIntosh in the teams #246 Super 1650 secured second outright, after crossing the finish line with a flat tyre, with third generation off roader Matthew Turner, driving Grandad Peter Sowter’s Pro buggy #985 showing he’ll be one to be reckoned with securing third outright. Fourth outright went to Ally Howells and Paul Jewitt in the double entered Sportsman #306 with Chris and Charles Camenzuli #295 rounding out the top five and the last of the competitors to clock up full race distance. With only five of the 19 entries completing full race, that left a lot of hard luck stories for the days racing. 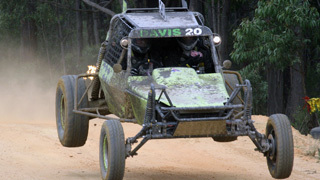 Joshua Howells and navigator Paul Jewitt, the other half of the doubled entered #305, learnt a valuable lesson in the competition rules of off road racing, when a tie rod gave way on the Rivmasta and navigator Jewitt got out of the buggy to straighten the wheel; following the Sportsman across the finish line. 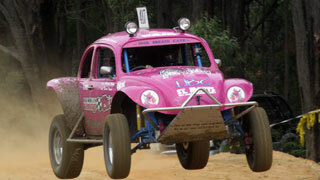 Although the team’s perseverance is rewarded, unfortunately all occupants must be belted into the vehicle when crossing the finish line, so that lap was not recorded. Another competitor to come unstuck by the rule book was Waine Caines, making a return to the sport after a two year break, who was unable to race as the biennial inspection had not been completed on his machine. 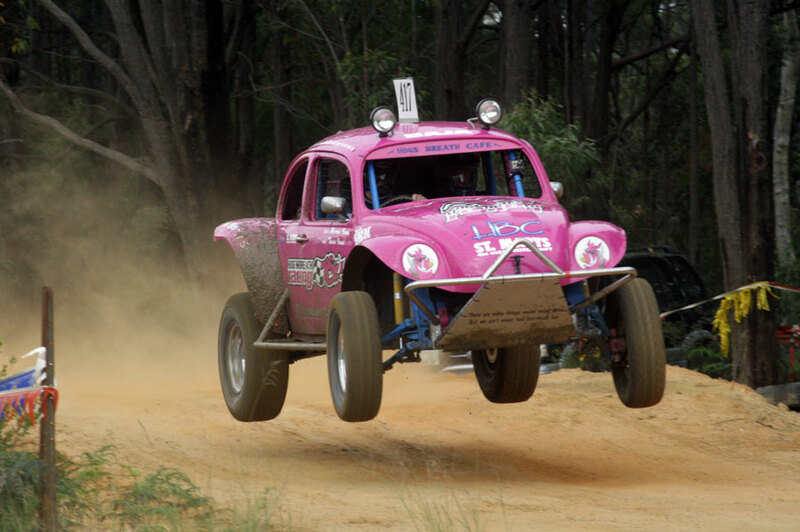 Warren and Tania Irons were running in third outright in the pink Baja Extreme 2WD when gearbox dramas ended their weekend, unable to start the last race. Fellow Baja racer Ton Dixon with navigator Greg Prince put down the fastest first race time at 17:55.30, the only competitors to do a sub 18minutes race, until overheating problems left them in the pits. 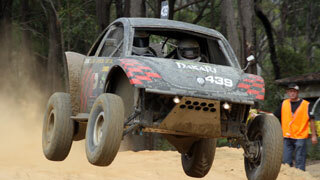 Mark Cowie had engine issues in the #247 Super 1650 with the conrod finding its way out the side of the block. Michael Keen also succumbed to engine failure in the second race after trading up from his mini buggy to the ex Glen Spizzo’s #128 ProLite buggy. Colo Park regular Ian Irons had problems in the second race and after returning to the pits … “every man and his dog looked at it, checked it out with no difference. Just as the first race after lunch was finishing, we discovered the petrol tank had moved just enough to bend the fuel hose coming out of the surge tank to the second fuel pump, which is the pressure pump for the fuel rail, effectively starving engine of fuel” commented Irons. 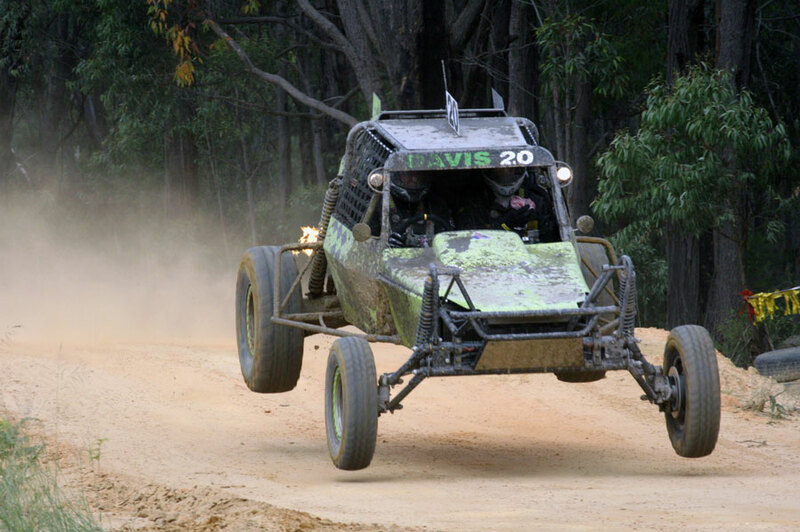 The 2012 New South Wales season gets underway in earnest on 24-25 March when championship campaigners head north for the Hunter Rivmasta Warialda 200.